Every Easter I love reflecting on how Jesus appeared publicly to so many people after He rose from the dead. Here are just 10 instances where He did that; proof that it was not done secretly. 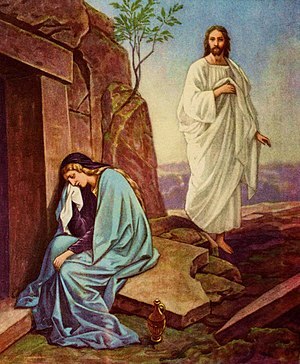 Matthew 28:1-10 “1 In the end of the sabbath, as it began to dawn toward the first day of the week, came Mary Magdalene and the other Mary to see the sepulchre. Luke 24:13-53 “13 And, behold, two of them went that same day to a village called Emmaus, which was from Jerusalem about threescore furlongs. John 20:18-24 “18 Mary Magdalene came and told the disciples that she had seen the LORD, and that he had spoken these things unto her. John 20:26-29 “26 And after eight days again his disciples were within, and Thomas with them: then came Jesus, the doors being shut, and stood in the midst, and said, Peace be unto you. John 21:1-23 “1 After these things Jesus shewed himself again to the disciples at the sea of Tiberias; and on this wise shewed he himself. I Corinthians 15:6-8 “6 After that, he was seen of above five hundred brethren at once; of whom the greater part remain unto this present, but some are fallen asleep. The Last Week in the Life of Jesus – Day 8 – He Is Risen! 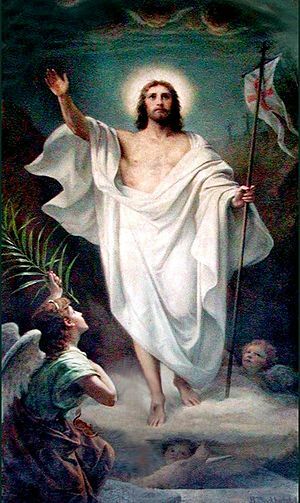 Jesus’ Resurrection from the Dead – He Is Risen! “1 Now upon the first day of the week, very early in the morning, they came unto the sepulchre, bringing the spices which they had prepared, and certain others with them. As it was with the 4th day, day 7 must also have been quiet for Jesus. So, I decided to use this day to share why Easter holds an extra special place in my heart. It was Easter Sunday of 1965, I was nearly 10 years old. Our family went to visit our grandmother’s church in Glenwood Springs. I will never forget the gripping sadness that overwhelmed my soul while the teacher taught about the 3 hours of darkness while Jesus was covered with the sins of the world. I understood that my sin was included in that most horrible moment for Jesus when, for the first and only time ever, He was separated from His Holy Father. I also understood that I had 2 choices, either to accept Jesus and live in Heaven with Him forever, or ignore Jesus and go to hell forever. I was consumed with a sense of urgency when I told the teacher that I needed to “ask Jesus to forgive me and come into my heart.” I remember as if it were yesterday how it looked dark outside the one small window high up on the wall of the Sunday school room when the teacher led me to a small desk at the back of the room. I sat down in the desk and the teacher knelt next to me and held my hand. I told Jesus that I was really sorry for my ugly sins and that He had to die on the cross and be away from His Father. While my eyes were still closed, I could see the room getting brighter through the window, and when I opened my eyes, the clouds were gone and it was bright and sunny! Such wonderful joy and love I felt, and I wanted to tell everyone! As a child, I looked at those few very special moments as God doing something extra special just for me. I just knew for sure that He made the darkness outside fade away into bright sunshine just for me because that was what happened as I prayed. I guess that is a good way to describe how His saving power and grace took me from the darkness of my sin to a Light-filled life in Christ.